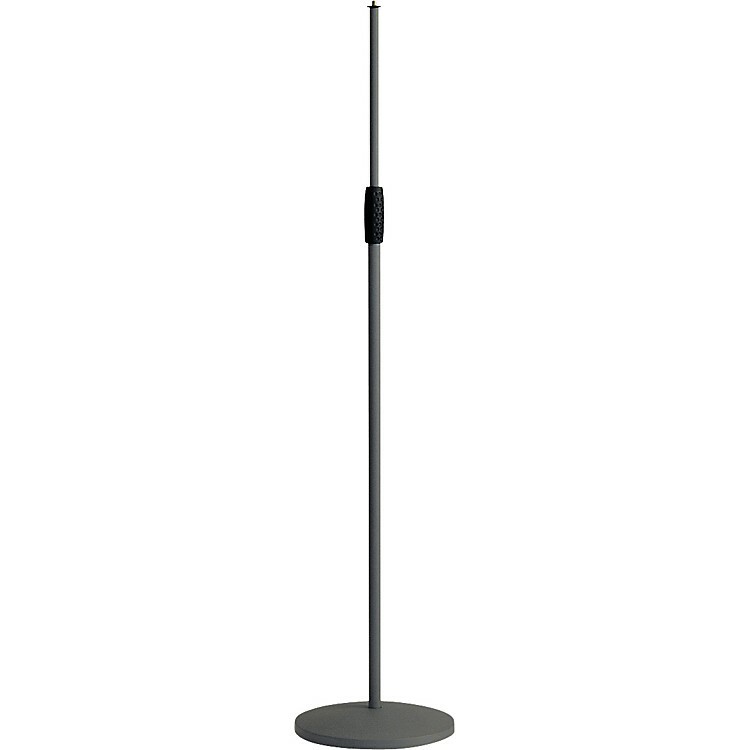 The 26010-500-55 microphone stand has a round cast-iron base with a meager 9.842 in. diameter. But it'll hold your mic in place, and it has an anti-vibration rubber insert to help keep any unwanted noise down during a performance. Easy clutch height adjustment helps you take it from 34.252 to 62.008 in. Steel rod. As with all K&M products this best-in-class product is manufactured in Germany from high-grade materials, backed by a five-year warranty and is manufactured according to strict environmental protection standards (ISO 14001). A genuinely eco-friendly product from K&M. Height: 34.252 to 62.008 in.